When information is becoming a commodity, when knowledge is just one swipe away, when robo-advisors are on the rise, how do you make yourself and your financial planning service relevant? Think about our profession 30 years ago. Can you think of the real reason professionals like financial advisors almost always had guaranteed success and a decent living? It’s because you could benefit from your brain. You could benefit from your brain because you had this information advantage. You see, back then, knowledge and information was scarce, so if people wanted (financial) information, they had to pay someone to get that information. Compared to 30 years ago, there has been a major shift in the supply of knowledge and information. Nowadays, because of Google, knowledge and information have become a commodity. And mostly this information is free. And if it isn’t free, it’s cheap! And this is reshaping our work. 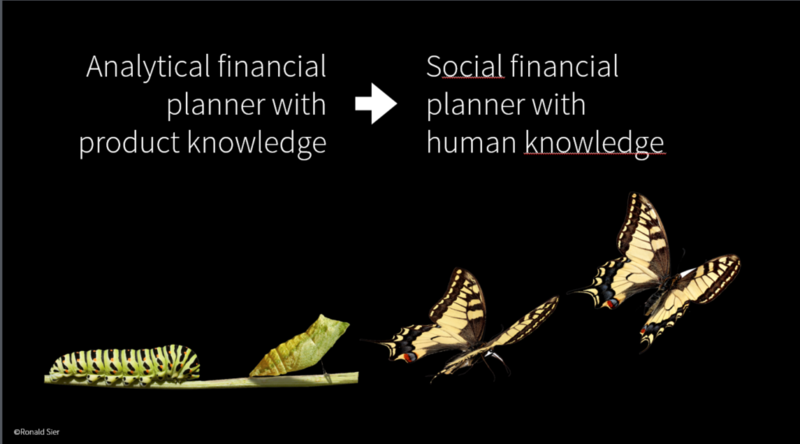 As people self-diagnose, and tap the same reservoir of information available to financial planners, and also use the same online inexpensive advice services, a financial planner’s role will be transformed. Away from knowledge, analytical and information-based ‘left-brain-work’. Toward social, and people-based ‘right-brain-work’. "The future belongs to a very different financial planner with a very different kind of mind"
Do you remember what happened here in this pic? Back in 1997, for the first time in history, one of our most brilliant human minds was defeated by an IBM supercomputer named “Deep Blue”. 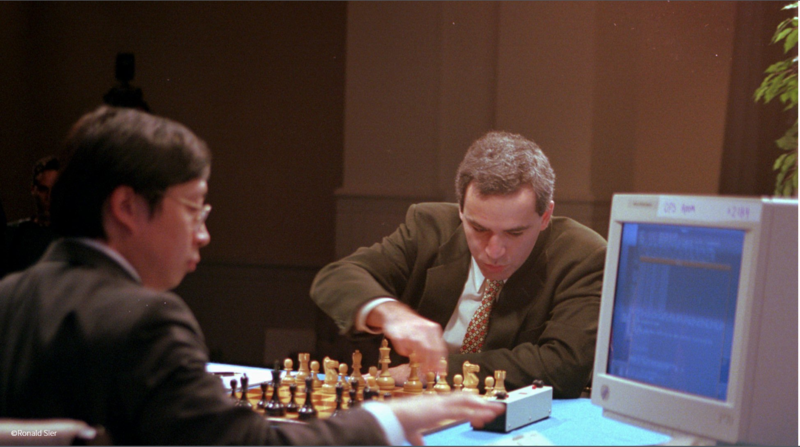 Grand chess master Gary Kasparov, was publicly defeated by a machine. And this moment was actually a milestone. Because since 1997, technology, internet and automation has had an enormous impact on our profession as financial planners. Nowadays there are robo-advisors like Betterment, Wealthfront, iQuantify, Personal Capital and dozens and dozens of other tech-firms. And I believe those robo-advisors are here to stay. And I also believe it’s a marvellous thing. Robo-advisors are a marvellous thing for people who can’t afford a financial planner. Or for people who simply don’t trust our industry. That’s why I believe it’s crucial to be immensely trustworthy. And being trustworthy is about designation, knowledge, and your skills. But it’s also about simply being human. Because automation simply can’t provide what a human being can. Human beings have eyes to communicate, ears to listen. And we trust a person who listens. That’s why it’s so important to strengthen your capacity to fulfill your right-brain potential. Which is all about empathy, truly listening to what your clients want, emotional intelligence and everything that makes us human. Which is in fact your #1 advantage over any other digital competitor. Then sign up by clicking the button here below. You'll receive a free video course about how to fix the 9 mistakes you probably don't know you're making when it comes to getting people interested in your financial planning service. We'll send them right to your inbox along with regular updates and tips to make your financial planning service matter.